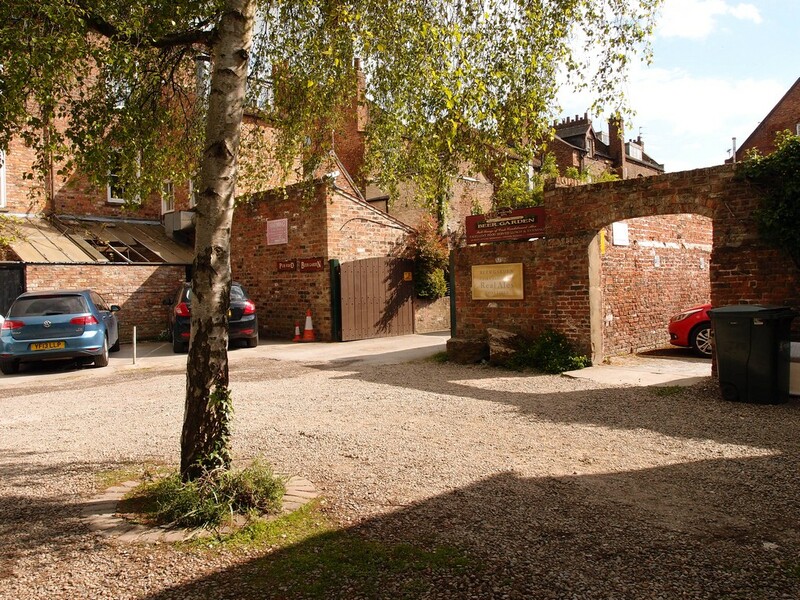 I often walk through Miller’s Yard, Gillygate, taking a short cut from that street into Bootham Row car park and then to Sainsbury’s on Bootham. I rarely go the other way, and when I do I’m usually in a hurry. Wandering through there recently, when I wasn’t in such a hurry, I stopped to read the posters in a window and then noticed Tom Mason’s bench. And then remembered sitting here with my sister, decades back, sitting at tables outside — wooden benches like the type in pub beer gardens, as in the Exhibition pub, just across the yard — having lunch, and drinking tea. And sparrows, I remember sparrows on the ground around the tables, looking for crumbs. Funny the details you remember. When did it close? I can’t remember. But when I went back to take the photos for this page I discovered that the year of its opening is there, carved in stone. I don’t recall noticing this before either. Proudly proclaiming the establishment of this Workers’ Co-operative, in 1982. Nicely carved lettering. I wonder who did it. Once you start looking properly there are so many questions. But since then I’ve been dashing through it with no thoughts surfacing. Until the plaque on the bench made me stop awhile, pause, pay attention. 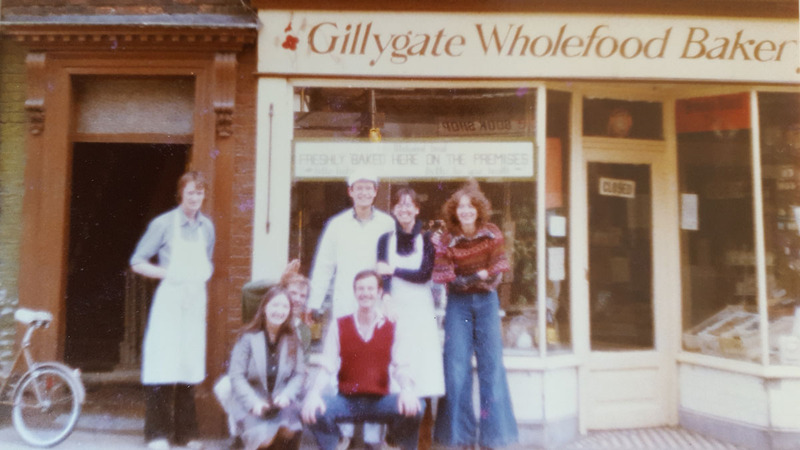 Somewhere in my vast piles of York-related papers and cuttings I’ve got an old article about the Gillygate Wholefood Bakery, dating from the late 1980s, I must try to find it. I Googled for more information, but didn’t find much. 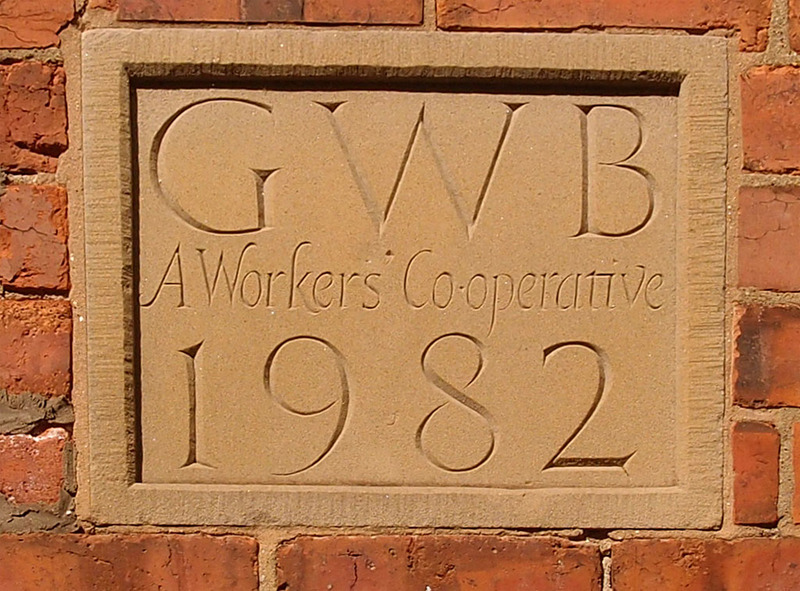 This Workers’ Co-operative may have a stone in place in Miller’s Yard but doesn’t seem to have much of a record here in the online world, so please add a comment if you have further information, thoughts, or memories. Since this page was originally published on 27 May 2015 many interesting comments have been added (see below). Thanks to everyone who has contributed their memories and thoughts on a place I couldn’t find much information on back then. Earlier this year I was sent a couple of photos of the original Gillygate Wholefood Bakery, and the people who worked there, before it moved to Miller’s Yard (see above). I’ve been meaning to get around to adding them for some time, and the most recent comment below, from Sarah Jo, has prompted me to get around to doing that. Apologies that I didn’t do so sooner. The photos are from the late 1970s. See below for more info. 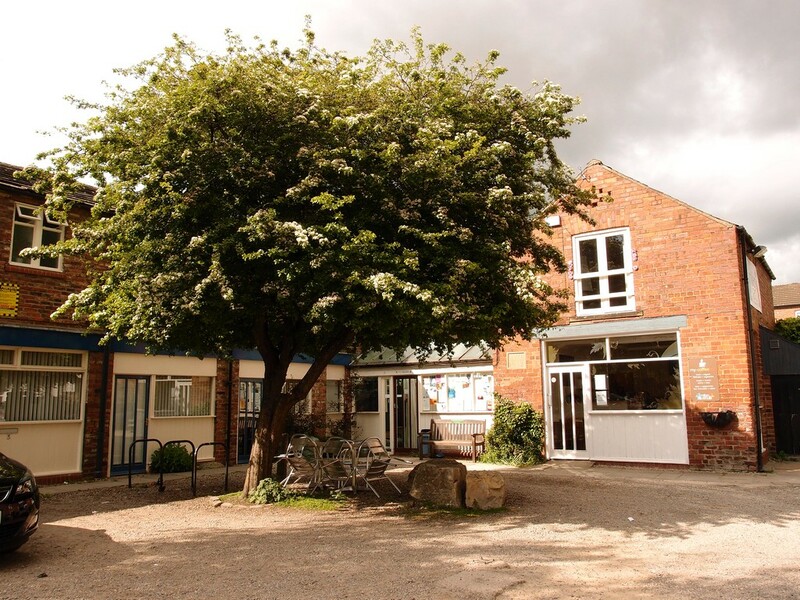 “The Bakery started across the road from Miller’s Yard (before it existed), at no 12 Gillyate I think … started by the man with the white cap and glasses, Mike Sheppard; who came from Botton Village Camphill, in Danby Dale, Yorks, in order to set up a working/living city centre environment. So began the bakery. The photos from date from 1977 or ’78. Man in sleeveless jumper is Andrew. Man in white overalls and blue shirt is Mike (Brid) Jackson (a baker). Man in blue checked shirt is ‘Toosh’ (master baker). Man in overalls and green top is Barry (miller). Man in overalls and white shirt is Geordie Dave. Woman in blue jeans is Alex. Woman kneeling is Val (Toosh’s wife). Other woman with glasses may be Marian? If you’ve found this website interesting and useful, and would like to support it and help with the costs of keeping it online, then virtual coffees are always welcome. Thank you. 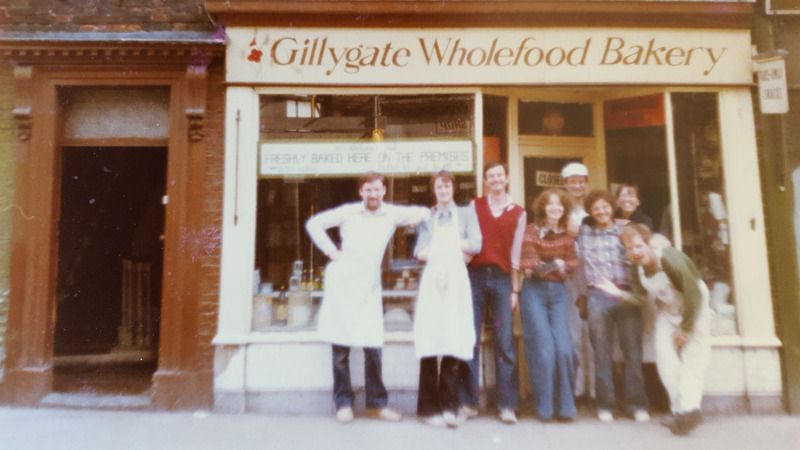 hi, gillygate began baking 40 yrs ago. i baked there 85-92.they stopped baking in 96, the equipment and recipes moved accross the pennines to saker wholefoods,where they continue to bake organic bread! Great to have this information added Jo, thank you. Just was going through some things from my past and found a cookbook from York Wholefood Restaurant. I was in York during 1984-5 and remember the Gillygate Loaf. Anyone have a recipe they could share? I hope the recipe for the Gillygate Loaf is out there somewhere and finds its way to this page. Someone I know has very fond memories of the tofu burgers at the Gillygate Bakery cafe – don’t suppose that’s one of the recipes in the book? 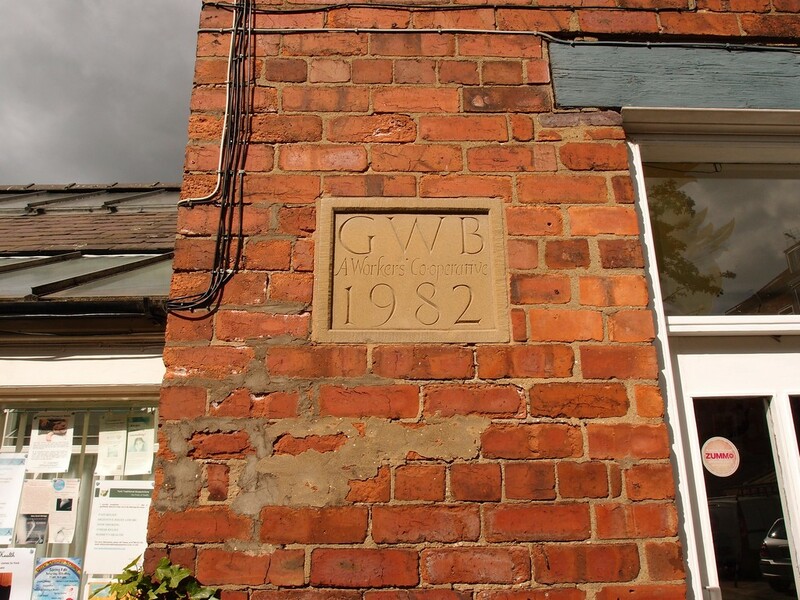 I worked at Gillygate between 82 and 88 as a baker alongside some remarkable people. I happened across GWB one day soon after moving to York from Sheffield (as a baker) and as soon as they’d have me I began work there. I have wonderful memories of that very significant period in my life; The likes of Toosh, Mike Brid, Blaise, Gill Carrigan and Jill Cadman…a time not equaled for its creativity since. Ahh Andrew it was great indeed. I was weekend/holiday staff at that time and worked with Becky,Tina & Blaise and lovely Karen too Some of my happiest memories of my teenage years. I worked at Gillygate Wholefood Bakery back in the 1978/1980 and met my husband Charlie there. I was the flour bagger and he was the maintenance man! We live up in Scotland now but remember you Sarah and all the folk you mention. It was great to be part of the co-op movement. Charlie and I helped move the ovens over the road overnight to the new premises – rockwool and oil everywhere. Charlie made the windows for the miller’s yard premises and I painted the original signs – all gone now, but luckily Steve’s stone plaque survived which set this whole train of memories going. Amazing to see Marion there in the original photo and everyone looking so young! Hello Ann and Charlie ! Hey Jackie! how are you doing? Would love to catch up – email us on acuk177@yahoo.com. 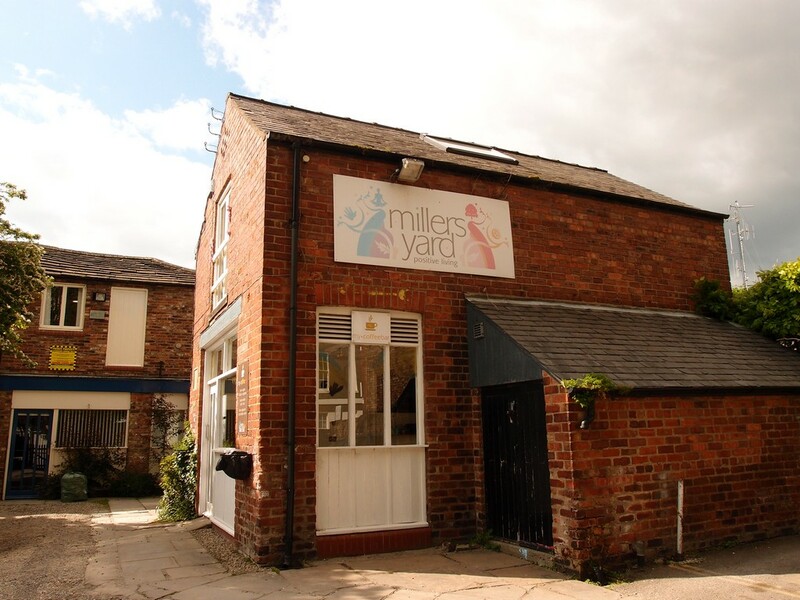 I’m hoping to find our pics of Miller’s Yard refurbishment to put on the site soon. Meantime, wonder if folks remember the lovely bread and slices we used to sell in the original shop? Wholemeal bread, large, small and rolls, cheese and thyme and cheese and garlic loaves. Apricot and coconut slices, date slices and date crunch, savoury slice, bean pasties, plus lots of filled rolls and pizza at lunchtimes. Delicious, and difficult to find proper wholemeal stuff like it now, let alone back then. 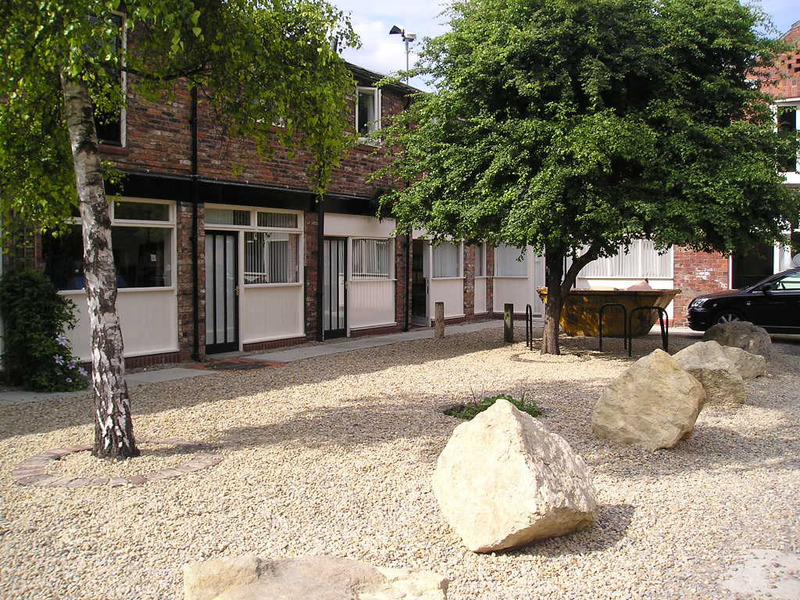 When we moved to the newer, larger premises there was more room, and new recipes. All made from wholemeal flour milled on site from local wheat – wow! What lovely memories of this community! I lived in York from the mid-70s to ’96, & used to buy breads & food from the wonderful Gillygate shop weekly. The garlic & cheese / thyme loaves were the best I’ve ever eaten! I made friends there too (Barry was fab in his ‘jolly miller’ overall). Later, I enjoyed going to Millers’ Yard too. I have been trying to find Mike Sheppard & his wife Susan, their daughter Marion & son for years. They stayed with us in the late 80s or early 90s from America, but I’ve lost touch.